Military-grade Shockproof & Water-resistant The Armor A60 incorporates ultra-rugged rubber casing and internal suspension system, which enables perfect buffer effect and assures rigid protections against crushes, dust and water splash. The Armor A60 Type C Series comes with two cables - USB C & USB Type A, which allows the use across multiple platforms. That means you can transfer data more easily between A60, USB based devices, and USB C ready devices. 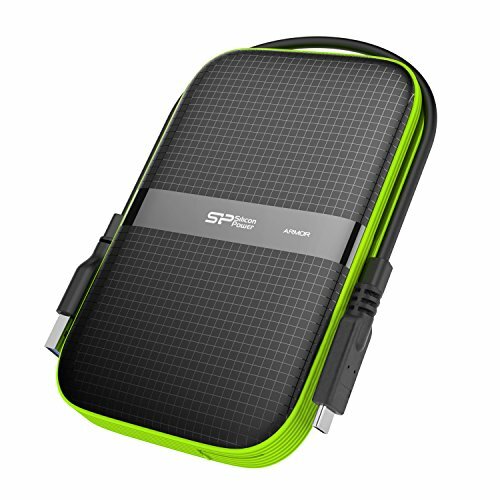 The innovative slot design is especially equipped for simple cable carrying and storing, and you can easily wrap the cables around the drive. The Armor A60 exercises the special surface texture that can not only allow anti-slip function but also keep the drive from damages caused by fingerprints and scratches.